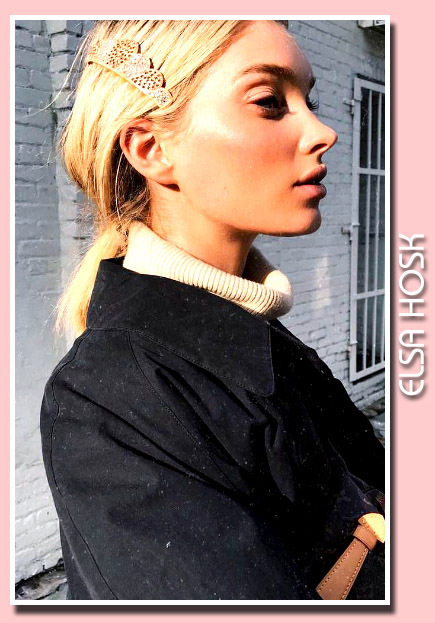 The extraordinary Elsa Hosk and her face of angel, have you seen a more perfect side profile, we didn't think so. While we have you here ogling this angelic beauty, we'll let you in on a little secret. Elsa Hosk is top contender for our Supermodel of the Year ! Earlier this year we crowned her newest Queen of supermodel style on the go, and she dominated the year when in came to style, her red carpet appearances were breathtaking, those editorials and covers were a work of art, and the VS Fantasy bra was just a taste of extra !